Daniel Hysan runs his own service company, Sodel Diesel LLC in Laurel, Delaware. As the President and sole employee, he works on a variety of jobs servicing large trucks, diesel equipment and engines. He owns two different vehicles, a Ford Transit service van, and a Ford Super Duty mechanic’s truck. When enough was finally enough, Daniel started researching a better option. 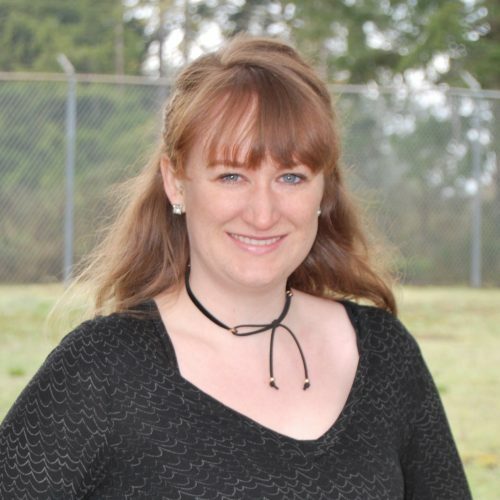 It was through his online research that he found VMAC’s website and reviewed a couple of options, an UNDERHOOD™ air compressor (Truck Series) and the VMAC G30 Gas Engine Driven Air Compressor. He ultimately decided to go with the G30 because he will be able to easily move the compressor to his next service truck when he replaces his vehicle. The VMAC G30 is a rotary screw gas engine driven air compressor, which produces up to 30 CFM at 100% duty cycle, guaranteeing full air power, every time. “After watching several online videos of the G30 I found it was exactly what I needed to never have to struggle with air issues again,” says Daniel. Watch the VMAC G30 demo video. Furthermore, this air compressor is 50% lighter and 50% smaller than comparable air compressors, does not require a bulky air receiver tank for it to produce full air power, and includes the battery. This lightweight and compact air compressor allows more space in the truck to store tools and equipment. 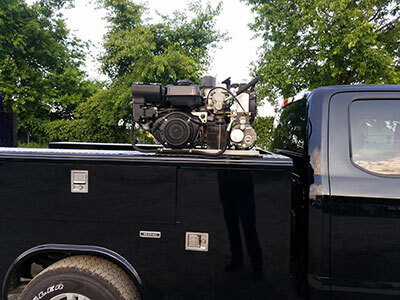 This air compressor is popular with light and medium duty mobile mechanics, like Daniel, as well as mobile tire service technicians and light duty contractors. 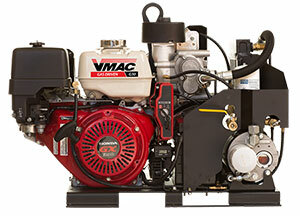 Are you ready to upgrade your gas drive air compressor to the VMAC G30? You can also visit the VMAC G30 product page to see more details, including specs, components, demo videos and more.